Typically, we get the best results when we take a holistic approach to a project, looking at the whole process to identify and remove bottlenecks and highlight areas for improvement. We can scale this for specific tasks though and our discrete event simulation tool allows us to develop and refine solutions without affecting production. Production lines are faster and more automated than ever, often running nonstop, day and night. With business models built around this capability, companies are rightly concerned about stopping production for anything, even to make changes to improve production. Customers coming to us were asking for solutions that could be implemented with minimum shutdown or stoppage times. 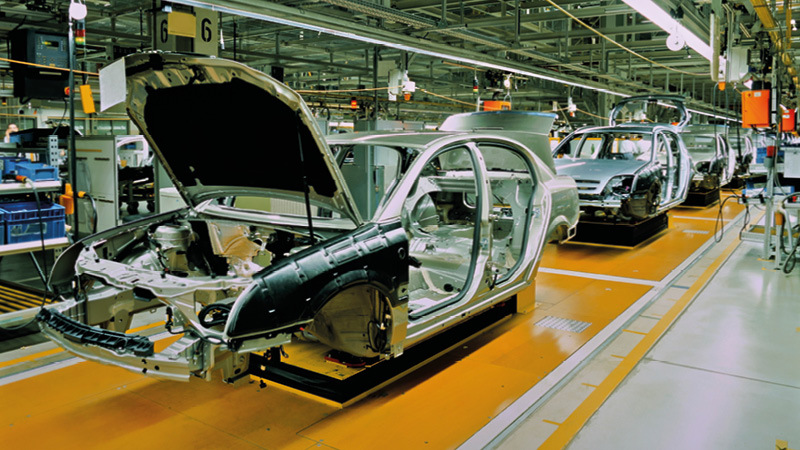 In one example, a customer wanted us to look at part of a car production line that made the dashboards. They wanted production to be improved from 30 units per hour to 50. Midway through the project, they increased this to 60 units per hour. Our discrete event simulation allowed us to model the production line and run it hundreds of times to identify bottlenecks. One key area we identified was in a place the customer had not considered. After a full analysis, we were able to remove the bottlenecks and run simulations to prove the new system would work. Our improvements gave a simulated performance of 58 units per hour, just short of the target but good enough to give the customer confidence that real gains could be made. With the new process in place, the production line has managed to meet the new 60-unit target. Discrete event simulation helped us mock up the actual scenario and quickly run multiple scenarios to test options and stress the system without getting in the way of production. We can test different layouts and control systems, and determine the best way to implement any changes to keep disruption to a minimum. This solution has saved our customers hundreds of hours of testing, removed the need for actual production downtime until the correct upgrades are identified, and streamlined the upgrade process to minimise outages.